Social Security checks will rise by 1.7% -- which translates into $22 more each month for the average retired worker. In 2015, the average worker will receive $1,328 a month, or $15,936 a year, according to the Social Security Administration. 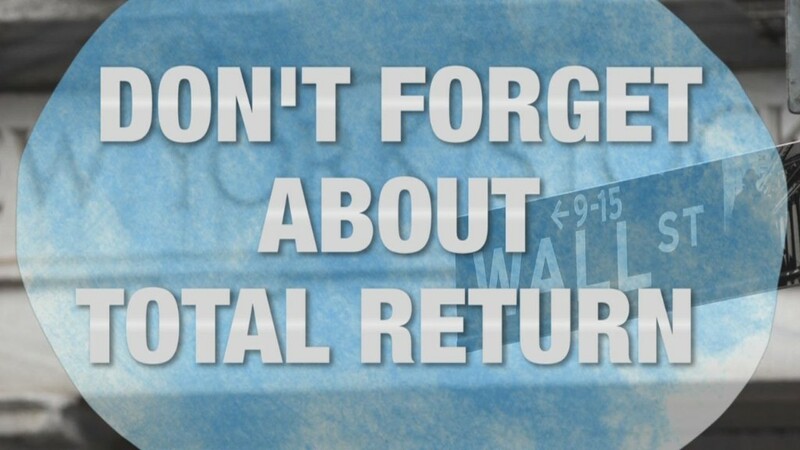 More than 58 million recipients will see the bump in their checks starting in January. 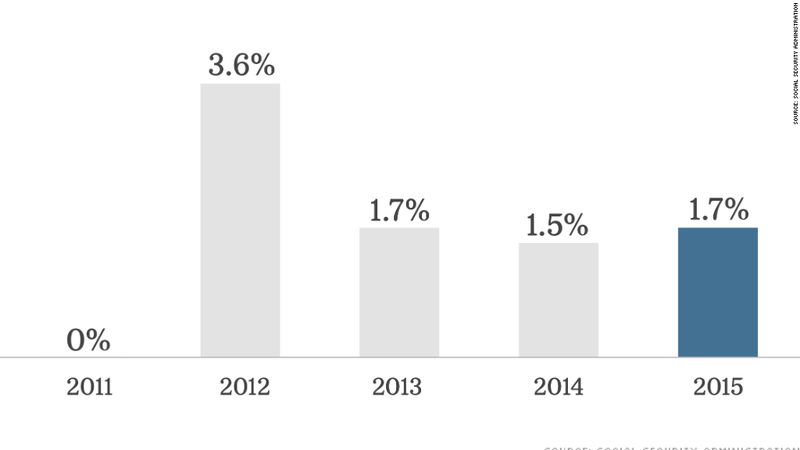 Next year's annual cost of living increase is up from 1.5% this year, but still less than 2012's increase of 3.6%. Seniors received no increases to their benefits for two years prior as prices fell due to the recession. 2015's modest increase is tied to Wednesday's release of the government's main inflation measure, the Consumer Price Index, which showed that prices were up 1.7% during the 12 months ended in September. But seniors still face sharper increases for utility and grocery bills, among other essentials. Housing costs are also rising faster than inflation, making it hard for retirees who don't own their home. Meanwhile, since seniors don't have to commute to work each day, they may be less likely to enjoy the benefits of a more than 3% drop in gas prices, as measured in the CPI. Many retirees are already struggling to get by, with the majority relying on Social Security as their main source of income. Related: America's oldest workers: Why we refuse to retire! Nearly 10% of people 65 and older live in poverty, according to the U.S. Census Bureau, while women and minorities are far more likely to struggle. 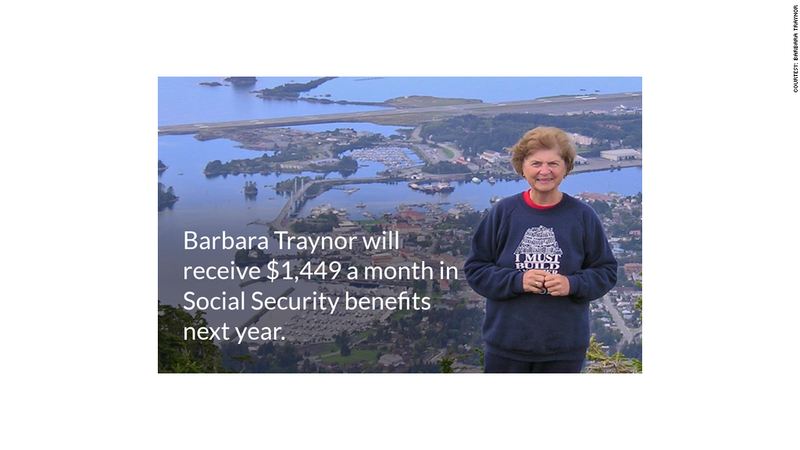 For 74-year-old Barbara Traynor, the annual bump will mean an increase of about $24 to her current monthly checks of $1,425, which is her main source of retirement income. "I think it's generous of the government to give us an increase at all," she said. "A lot of people in the business world aren't getting increases." Traynor says she's in good health so she spends only a few hundred dollars on medical expenses each year, but knows that many seniors aren't as lucky. Plus, she's found a unique way to stretch her Social Security income each year. 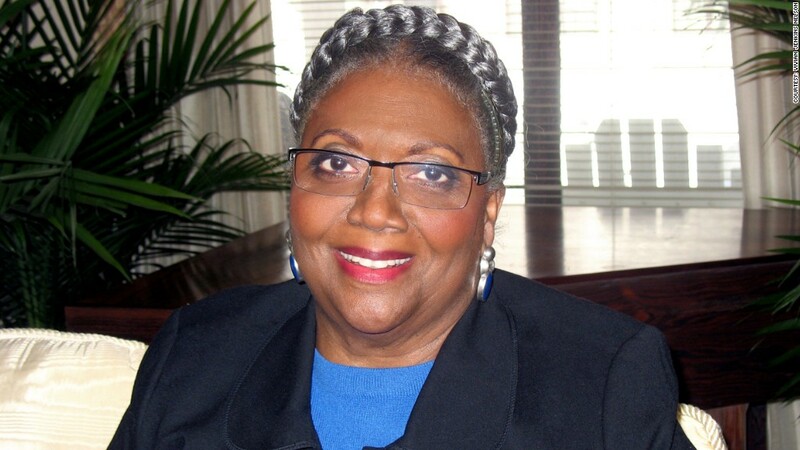 For nearly a decade, the retired administrative assistant has completed a variety of six-month volunteer stints, during which she typically enjoys free room and board. When she's not volunteering, she lives with her oldest son in the Albany area. "I can manage my car insurance and my gas and there is nothing else unless you have personal things you want to spend money on," said Traynor, who wrote about her frugal lifestyle in her book Second Career Volunteer. "You can certainly make it work." Minneapolis resident Vivian Jenkins Nelsen will see a similar-sized increase to her monthly Social Security checks of $1,461. But Nelsen, 69, isn't feeling as secure. She and her late husband drained their retirement savings and took out a second mortgage on their homes to cover medical bills as he battled Parkinson's disease for nearly two decades before passing away in 2010. Currently, her Social Security check doesn't cover much more than her $1,100 monthly mortgage payment. As a result, she says she plans to keep working as an adjunct professor and consultant for as long as she can to cover her other major expenses. She spent nearly $300 a month on heating bills last winter, for example, while she spends hundreds of dollars a month on medication to treat her chronic back pain. "I couldn't live on Social Security," she said. "There is just no way." The Social Security Administration also announced Wednesday that the maximum amount of earnings that workers pay Social Security taxes on will increase from $117,000 to $118,500 in 2015, based on the increase in average wages. Are you living on Social Security? How much will your check grow? Share your story with Melanie.Hicken@turner.com.